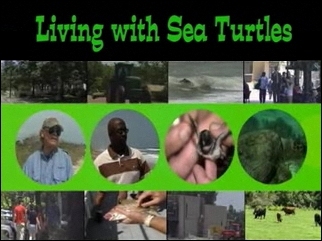 Summary: This project will produce and distribute a half hour video that educates the public about the challenges facing sea turtles in Florida and what people can do to help. We plan to film success stories featuring public involvement and conservation initiatives around the state, discussing the challenges, solutions, and benefits of managing beaches for nesting sea turtles. The University of Florida's WUFT TV, Florida Cooperative Fish and Wildlife Research Unit (FCFWR), and the Department of Wildlife Ecology & Conservation are collaborating to produce this video that ultimately will be broadcasted through PBS affiliates and local cable access channels through a popular TV series called Living Green. In addition, the educational video will be utilized by University Extension programs in Florida and other states. Viewers will come away with a deeper appreciation and understanding of sea turtle ecology and behavior and knowledge about how to manage beaches to improve nesting success.